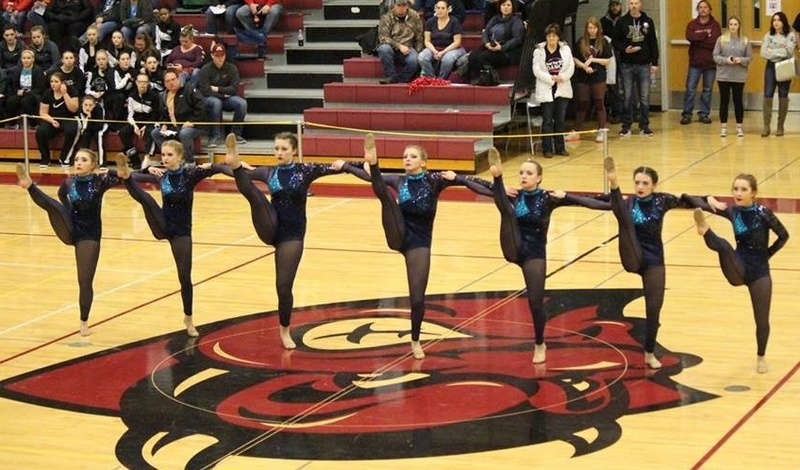 The Mandan Kachina's Dance Team choreographs their own Jazz and Kick routines, and this year the team "spent hours searching for the perfect song and searched through every genre," said coaches Kayla and Trisha. Their search led them to an instrumental version of "Battle Cry" by Imagine Dragons, a dramatic and tension filled song. 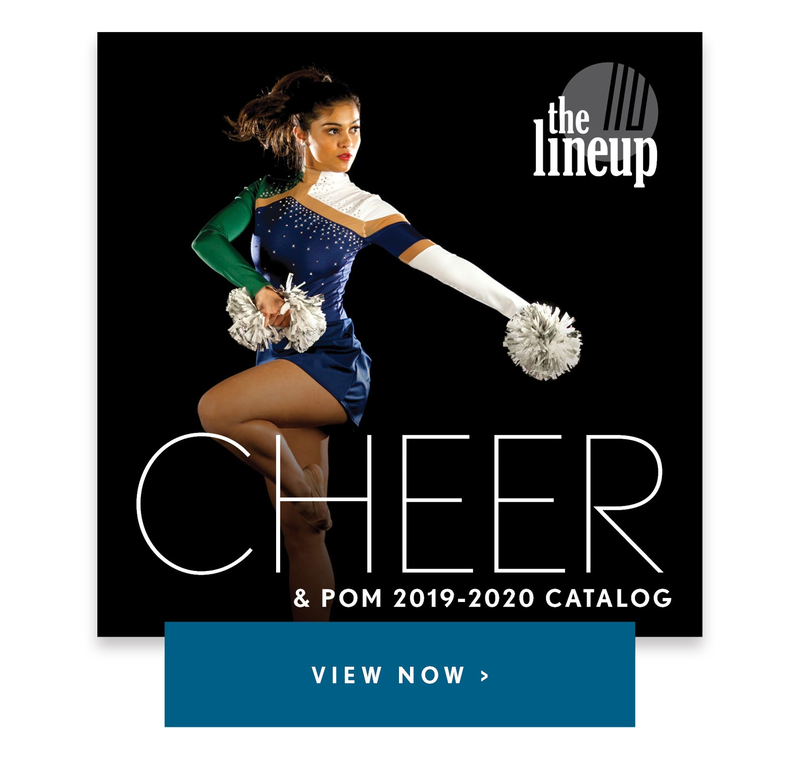 "They wanted fierce, they wanted sassy, and they waned this to come through in their uniforms," Kayla explained about their costume inspiration. Eventually, the team landed on the style Beyonce. "We laid our eyes on the Beyonce costume on your site, immediately we were all in love," explained coaches Kayla and Trisha. "It fits our 'dark', it gives us fierce, it sparkles! Some of our favorite things! Beyonce is all about fierce and confidence: we have always told our girls to perform like they are Beyonce." The Mandan Kachinas performing in the Beyonce dance leotard! 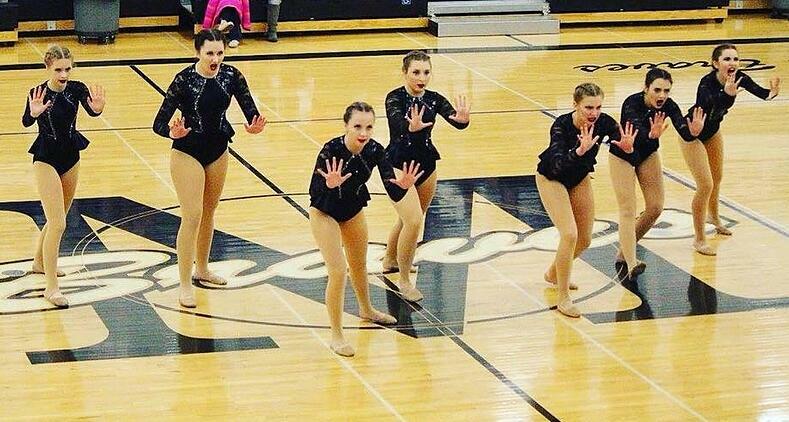 For their High Kick routine, the Mandan Kachinas Dance Team originally had a more sassy routing, but updated their music to be more instrumental instead. 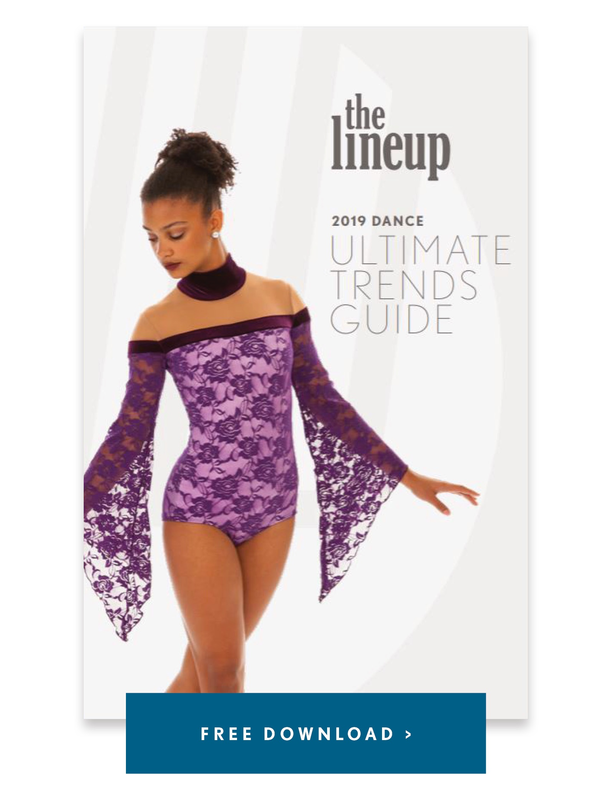 "The Rhiannon costume was so versatile in this change which was perfect, and of course brings more sparkle to the floor!" See photos of them performing in the versatile online style, Rhiannon below! Check out more Q&A with the Mandan Kachinas below. Our Jazz music is Died in Your Arms by Hidden Citizens. We are performing to the instrumental version of Battle Cry by Imagine Dragons for Kick. The Mandan Kachinas have a relatively small varsity team for our area. 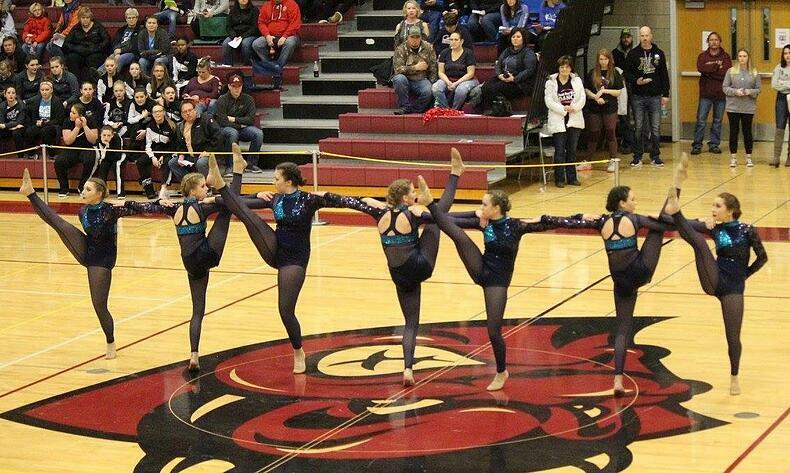 Our girls have a passion for dance that we just adore. We have 2 freshmen that were brought onto the Varsity team this year, it has been truly amazing to see their dedication and growth as the year has progressed as well as the mentorship that our veteran dancers have provided. ALL of our girls have shown so much dedication all year long and have grown in friendships as well. This year these girls have 2 new coaches to their positions. So many laughs have been shared and memories made already! We are so excited to be traveling to Minneapolis for the Spirit of America competition at the beginning of January as well as State at the end of January, which are our biggest competitions. We have such a variety of special talents with each of our girls, strong turners, flexibility, body control for lifts, amazing girls that can do any jump you ask of them, a few with very specific acro skills. Incorporating each of these girls’ special talents into our routines is a huge challenge to make them work but its fun seeing the outcome!